Several years ago, we were at my sister-in-law’s home for a family gathering. Someone accidentally spilled grape juice on her denim couch. Everyone sprung into action – trying to clean up the juice before it stained the couch. My mother-in-law got a soapy dishtowel and started scrubbing the stain. At first, it seemed to be working – the dark purple color of the stain began to fade. Then, we noticed that something else was fading… the denim fabric on the couch! All the scrubbing took the blue color of the denim out. Now, the couch had a big white circle with a pink stain in the middle of it. Soon, a slip-cover was purchased for that couch. The (double) stain was still there, but now it was hidden under the cover. Eventually, they purchased a new couch. The old (stained) one was gone and a new (stain-free) couch replaced it. This story reminds me of God’s grace in our lives. Our best attempts at getting rid of the stains only seem to make things worse. We usually resort to “slip-covers” – hiding, faking, covering and pretending the stains aren’t there. God has something better for us: a brand-new, stain-free life – paid for in full by Him. Out with the old, in with the new! God’s grace provides us with what is impossible on our own: His grace makes us brand-new and stain-free. We’re going to sing a new song this Sunday – “Grace Already Won” by Carlos Whittaker. My last home was in Yakima. My new home is in Maple Valley. The distance between them is about 130 miles – a little over 2 hours by car. My old home no longer belongs to me. The title deed for the new home has my name on it. Driving to the old home in order to change my clothes or fix something to eat would be an exercise in futility. The locks have been changed. I don’t belong there anymore. My old home is no longer a resource or refuge for me. I have a new place now. The old system of relating with God was based on law, works and sacrifices. The new system of relating with God is based entirely upon the once-and-for-all sacrifice of Jesus Christ. Trying to establish or maintain a relationship with God based on the old system (of law, works and sacrifices) would be an exercise in futility. No matter how hard you work at it – you will fail. This old system is not your home. The locks have been changed. You don’t belong there anymore. The old system is no longer a resource or refuge for you. You have a new place now – a place where you belong – at home in God’s family based upon his grace. Out with the old and in with the new… come home to grace! I’m sure you’ve heard the term “game-changing”. Recently, “game-changing” was used to describe Apple’s new iPad. Because it’s such a new product, the jury is still out on whether or not it is a real game-changer. Will the iPad change how we use computers? Will it change the industry? Here’s what I do know: the message of grace is game-changing. It changes how we relate with God. It makes the old system (of law, works and sacrifices) obsolete. Grace has ushered in a new system of relating with God through the once-and-for-all sacrifice of Jesus Christ. Instead of depending on myself to be righteous (which always leads to failure and frustration), now I can depend on Him to make me righteous (which always leads to freedom and joy). Grace has changed my failure to freedom and my frustration to joy. Grace changes me and it changes you. Grace has forever changed the game. It changes our outlook on life. It changes the way we see others. 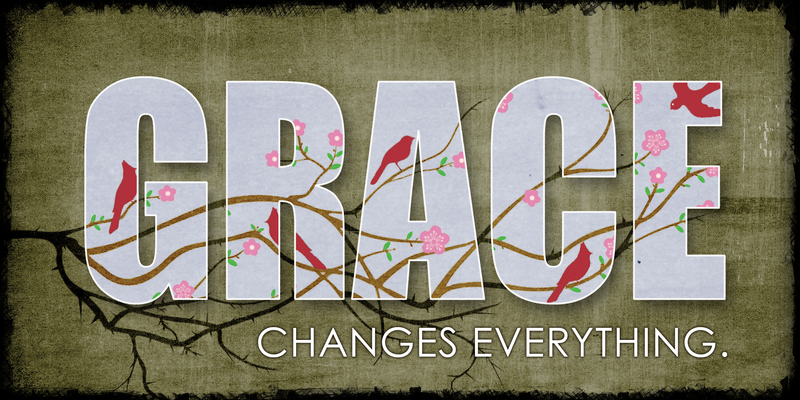 The truth is… grace changes everything! Know-it-alls seem to have an answer for everything, but they lack humility and compassion. They care more about being “right” than they do about others. Instead, be a “love ‘em all”. Love everyone. Love the easy ones and love the difficult ones. Love the ones you understand and love the ones you don’t. Love the ones that reciprocate and love the ones who never return the love. Knowledge makes us proud of ourselves, while love makes us helpful to others. While knowledge makes us feel important, it is love that strengthens the church. Knowledge puffs you up with pride, but love builds up. Knowledge puffs up, but love edifies. Go Ahead: Laugh, Smile & Sing. It’s Spiritual. Do Christians have a good sense of humor? Sometimes, I think we need to lighten up a bit. Should we known for our smiling, laughing and songs of joy? “We were filled with laughter, and we sang for joy. So go ahead. Laugh, smile and sing. It’s spiritual. I recently read Fire Them Up! by Carmine Gallo. Only 20 percent of all U.S. employees want to be with their current employer in two years. What’s truly alarming is that most employees cite a lack of leadership as their reason for going elsewhere. Today’s workers crave meaning in their lives and a professional role that represents something larger than themselves. Unfortunately, few leaders communicate meaning, hope, and optimism. 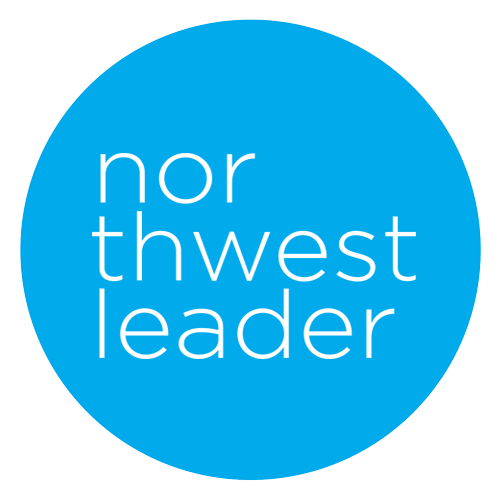 THE CHIEF INSPIRATION OFFICER – This person is an extraordinary communicator. He places a strong emphasis on the way he crafts and delivers his message, vision, and values. He is successful at getting listeners actually to change what they have come to believe. He successfully rallies people around the vivid future he sees and helps them find meaning in their roles. This leader is magnetic. He leaves everyone energized, enthusiastic, and electrified. You do not need a book to teach you how to act like a jerk. Poor managers think that motivation means scaring the heck out of people. It doesn’t. Other managers think we’re all like Pavlov’s dogs: Give us a treat and we’ll perform. These managers believe that offering incentives… is all the motivation his team needs. It’s not. Financial or material incentives might work for a few hours or days, but they will fail to inspire people over the long run. This low level of engagement costs the American economy an estimated $350 billion a year in lost productivity. I could offer more statistics, but why bother? Clearly, people are desperate for inspiring leadership. Be the type of person people want to stick with for the long term, the person whose vision people want to follow, and the person who brings out the best in others. Your customers, colleagues, clients, employees, staff, team, students, and children are searching for someone to satisfy their chief want. If you miss the opportunity to engage them, they will look elsewhere for inspiration: another company, a competitor, a boss, a congregation, or, saddest of all, questionable peers. We all want to be around someone who makes us feel good about ourselves and engages our hearts and minds with the vision of a brighter future. You have the ability and, I would argue, the obligation, to play this role for those in your life. Energize yourself before you attempt to engage the hearts and minds of your audience. Successful leaders are fired up about what they do and have an extraordinary ability to generate excitement in others. When you talk to customers or colleagues, do they leave that conversation inspired, energized, and enthusiastic or uninspired, disillusioned, and bored? That is up to you. A leader succeeds only when they find a way to make people excited and confident in what comes next. Create an emotional connection with an audience by articulating a vision so bright, so magnificent, the rest of us cannot help but come along for the ride. According to Buckingham, a leader carries a vivid image in his head of what a future could be. “Leaders are fascinated by the future. You are a leader if, and only if, you are restless for change, impatient for progress and deeply dissatisfied with the status quo…. As a leader, you are never satisfied with the present, because in your head you can see a better future, and the friction between `what is’ and `what could be’ burns you, stirs you up, propels you forward. Ordinary business professionals sell a product or service. But as the leader of your personal brand, you must offer much more – the promise of a better life for your customer, client, or employee. Peddle hope. A vision that changes as often as Lindsay Lohan switches nightclubs does no good for anyone. Life is too short to do something small. There are two things that really matter to great people: They want to do something big with their lives and they want to learn from other great people. Those are two very powerful motivators. Positioning is about what you do for your customers – not about what you want to become. Stories have the power to inspire, motivate, and persuade anyone in everyday situations. Stories speak to both parts of the human mind – its reason and emotion. We tend to forget much of what we hear, but we remember 100 percent of what we feel. The key to managing this generation is to create excitement about the company’s achievements and help employees recognize their own roles in accomplishing that mission. The opposite of a leader isn’t a follower. The opposite of a leader is a pessimist. Inspirational leaders are beacons of hope. They project an aura of confidence and resolve that is quite literally contagious. Churchill had an unbreakable spirit, which he transmitted to others in his speaking. He acknowledged the hurdles to overcome, then shifted the focus to reasons for hope. Churchill’s genius was to find a way to talk about bad news while finding hope in what others might see as defeat. He could put nearly any disaster in context. When people are most likely to see defeat, you must radiate hope, confidence, and possibility. Surround yourself with builders, not detractors. Want to be loved? Be an optimist. Make people feel better about you, themselves, and the organization in which they are placing their trust. The ripple effect of a leader’s enthusiasm and optimism is awesome. So is the impact of cynicism and pessimism. Leaders who whine and blame engender those same behaviors among their colleagues. Spare me the grim litany of the realist. Give me the unrealistic aspirations of the optimist any day. If you live in a perpetual state of “gimme, gimme, gimme,” you will end up with far less than you deserve. Building people up and helping them reach their fullest potential as human beings will bring far more pleasure than you could ever imagine. Satisfy a Basic Human Need. Sincere praise is the easiest way to connect with another human being. In all the years I’ve been studying human behavior and attitude, I’ve heard hundreds of employees say they feel under-appreciated, but I’ve never heard a single one say they feel over-appreciated. Your job as a motivator is to make people feel good about themselves and boost their self-esteem, confidence, and courage. When people receive genuine praise, their doubt diminishes and their spirits soar. Don’t Showcase Them – Use Them! We love to compete. We like showcasing our abilities. We try to position ourselves for our shot at 15 minutes of fame. But maybe the gifts you have weren’t really meant for showcasing. Apparently our gifts are for the purpose of serving others. Lets use our gifts… not to improve our position, but to serve (bless, help, encourage, benefit) others. Use them to serve others and be good servants of God’s various gifts of grace! Let’s say you come home from school and your shoelaces are muddy. Your mom tells you that you need to wash them, but it takes two days to do that. So, you have to find some way to lace your shoes. Simply ask your mom if she can make spaghetti for dinner. When it is done and your mom isn’t looking, find the longest noodle and stick it in your pocket. Then say you have to go to the bathroom. While you are on your way to the bathroom, bring your shoes with you. When you get in the bathroom, lock the door and lace your shoes with the noodle. Pack a little box of spaghetti sauce. Put it in your coat pocket. Later, when your shoelaces are dried, get the spaghetti sauce. Undo the spaghetti from your shoes. Dip your spaghetti noodles in the sauce. Woila! Enjoy. Do you really want to be known as an expert in identifying what’s wrong? Some are expert critics, gifted in pointing out flaws. Others are expert encouragers, gifted in pointing out strengths. Will you be an expert basher or builder, critic or encourager?